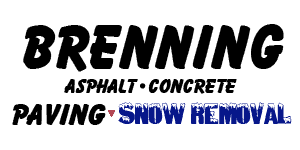 Must have great knowledge about construction/building parking lots, roadways etc managing projects/great people skills. Experience on City of Ottawa projects is an asset. We offer competitive salary & benefits, with opportunity for growth. We are a relatively small business, so the ability to work both individually and as part of a team is essential. Scheduling all crews, subcontractors and resources in an effective manner to meet project deadlines and completion dates. Oversee safety ie: Make sure all staff are up to date on mandatory training, make sure Ontario Health & Safety Act is being followed etc. Organize truck & equipment rentals daily for next day’s work. Must be able to manage up to 15 simultaneous projects (Some finishing, some starting, and everything in between). Fill out daily work orders for crews, print maps for drivers etc.